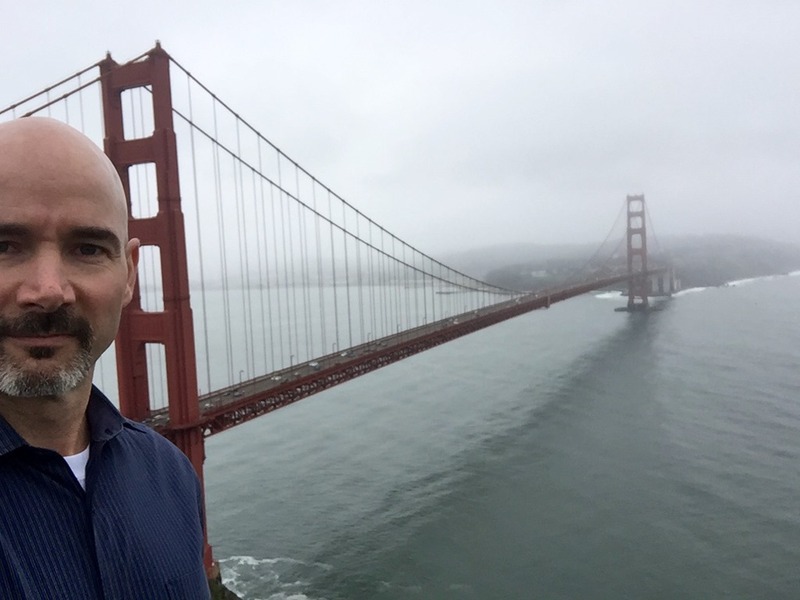 Recently I had an opportunity to go to California as part of the day-job. It’s great to get to work with a bunch of REALLY cool people and with some REALLY cool technology. 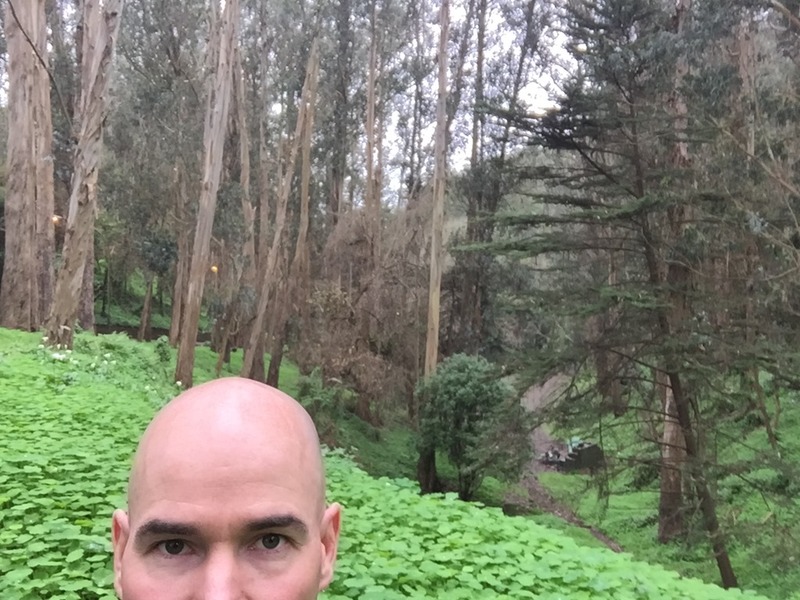 It also allows me to get to see some new trails and even do a little sight seeing during my off-hours. Whenever traveling, it’s tough to get in the biking, but swimming, and especially running is no problema. 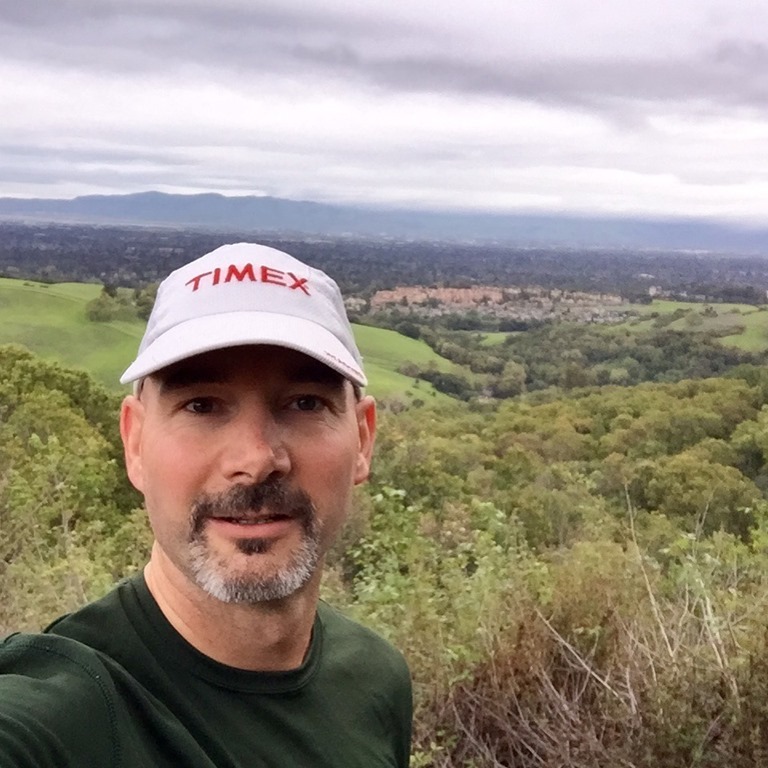 I found some cool places to run just outside of Santa Clara overlooking Silicon Valley (pay no attention to the ugly mug, but concentrate on the background). I even managed to squeeze in some time to head up to ol’ San Francisco. 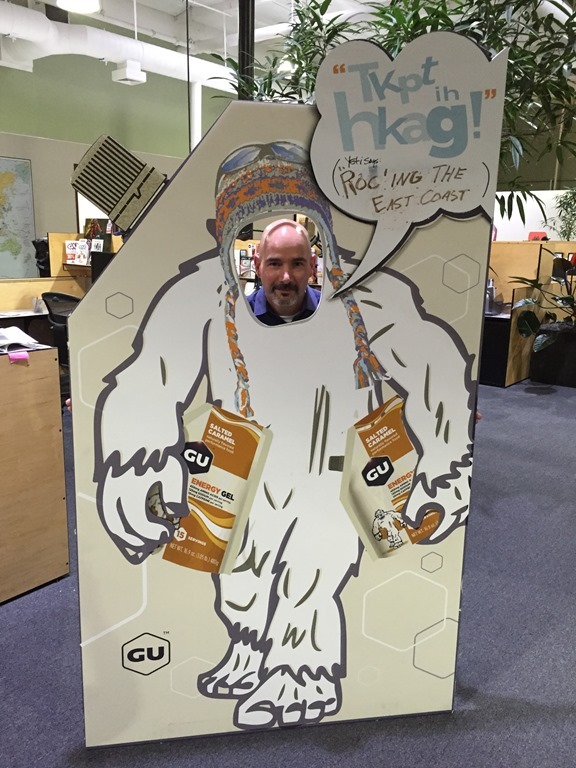 The best part about being in this area, however, was getting to pop in on my longest standing sponsor, GU Energy. Any of you that know me also know that I seek out sponsorship of products I like, not the other way around. I’ve had a few offers by sponsors of products that, to put it mildly, I just didn’t like. No thanks. I have to be able to get behind it. So, here I am, partnered up with GU since 2008. So… when I had an opportunity to pop in, I was on it like white on rice. Heck, after I reached out to Celia, my partner-in-crime at GU, she was ecstatic that I was in town and offered up a one-on-one tour of the facilities with MacKay Gibbs, Director of Manufacturing. Speaking of quality control, I was absolutely amazed at how much goes into making sure the best possible product gets into your hands. 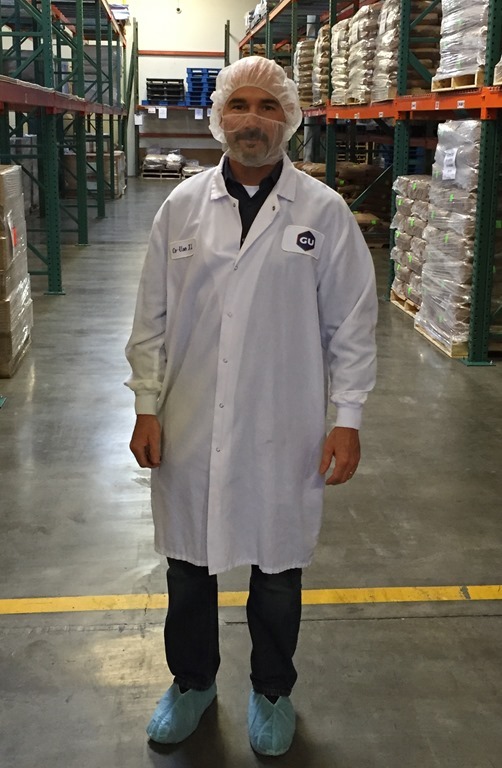 From the minute the raw ingredients hit their dock to the moment the finished product ships out, it is tested and inspected continuously throughout the process. The guys and gals I met making these products are true professionals that take pride in what they’re making, all while keeping an eagle eye on every packet that goes down the line. As a bonus, I was handed a Chocolate Outrage packet right off the conveyer while it was still warm. I was also equally amazed at how GU cultivates a culture that consists of employees that like sports and racing as much as I do. I didn’t get a picture of it, but there’s a huge board where employees write their goals, the races they’re doing and when they accomplish them it’s celebrated. Another bulletin board had countless pictures of them participating in events and races. My jaw dropped when I got to see their gym and bike storage. Each employee is encouraged and incented to ride their bikes to work. Not just a pat on the back incentive, but given extra days off once they accumulate a certain number of commute days. It was great to meet all of the staff that not only make great products, but have a real love for sports fueling that passion. Want to know more about GU Energy and the products they make to fuel your passion? Then head over to their website and check em out, or hit me up anytime. No matter what you do, there’s a #GUforit. 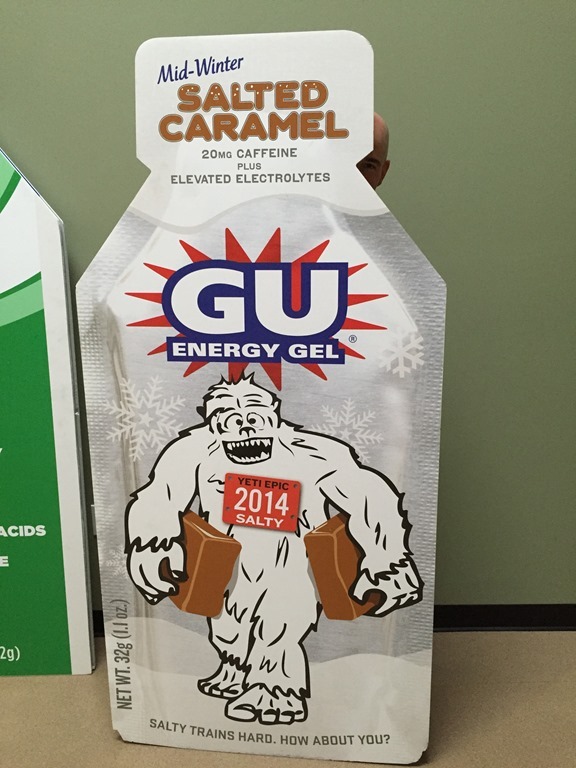 Love me some GU, salted caramel…yum yum! Very interesting post. No doubt GU delivers a great product, but hearing how well they take care of their employees/staff with incentives such as their bike to work-days off policy is truly unheard of and nice to see.